Another book I have heard really great reviews of. I personally haven't read any books about zombies, so I'm very excited to try this one out! Next weekend I am at Eternal Twilight 5 (Twilight convention in Birmingham) so I won't be doing an IMM then, I'll do a double one the following week! Ooooh I'm even more excited to read it now :D Thanks for checking out my blog! I haven't read FoH&T yet (I know, how bad is that?!) 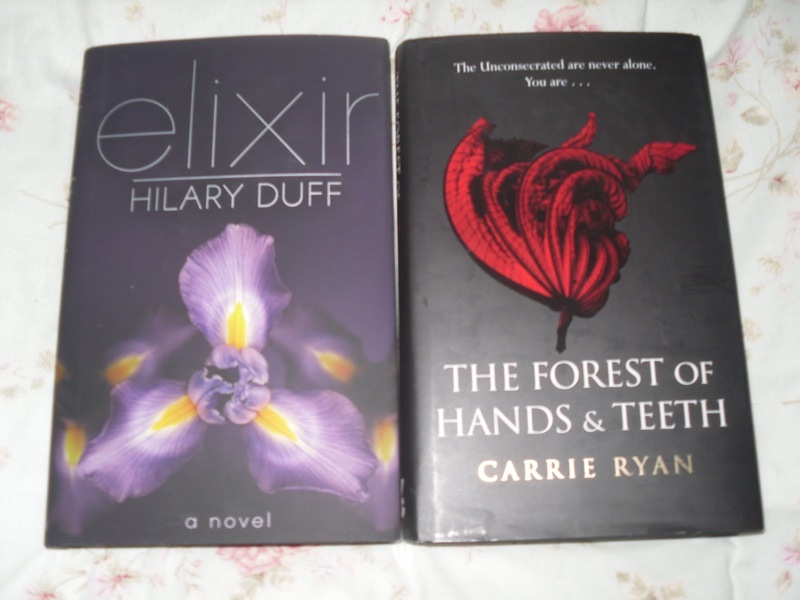 but I have read Elixir and I really liked it. I was very surprised! Jen you have probably read more this week, than what I have this year so far, lol!! Not bad at all! Ooh lovely books! I have both on my tbr shelf waiting for me. Enjoy the convention next week! I am also a bit dubious about Elixir.. not sure if I am ready to give it a try yet. :-P I absolutely ADORE The Forest of Hands and Teeth though!! It's amazing!! Forest of hands and teeth is amazing. i read it in one day after my Operation in July and it was actually very scary! I love The Forest of Hands and Teeth. So good! I'm really curious about Hilary Duff's Elixir. And I've heard many many good things about The Forest of Hands and Teeth. :) Happy reading! Great reads! I was also surprised that Elixir got so many good reviews. Ooh, I got The Forest of Hands and Teeth too! I'm so excited to read both - YAY!! !